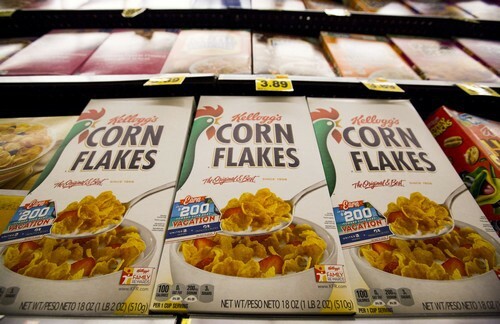 Kellogg’s Corn Flakes is a popular brand of breakfast cereal which is made from roasted flakes of corn. With a promise of providing quality and healthy food for all Kellogg’s aims at creating a healthier world. 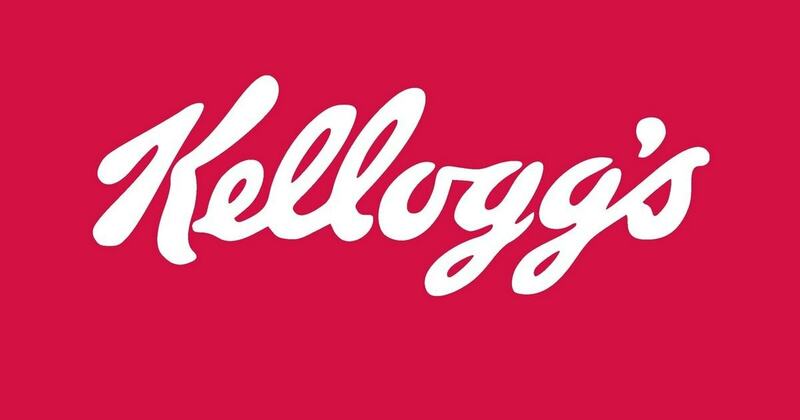 One of the first companies to commercialize cereal, Kelloggs was in operation from the year 1898 and has been closely associated with the history of breakfast across the world. 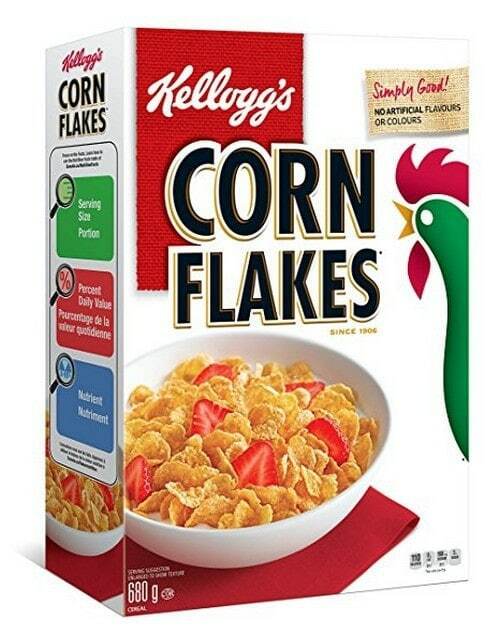 A fast and simple breakfast option, Kellogg’s corn flakes are available in variants like Honey Loops, Chocos, Oats, Muesli, Oats, Bran and Special K. These variants which make corn flakes suitable for people of all age groups have become a global inclusion in healthy and wholesome breakfasts. Cornflakes are usually consumed with milk and sugar but to enhance the taste people also have it with fruit and nuts. First mover advantage: Kelloggs was the first to introduce the concept of cornflakes. The first people to discover that roasted flakes when added to milk and sugar can become a wholesome breakfast was Kelloggs and since then there has been no turning back. 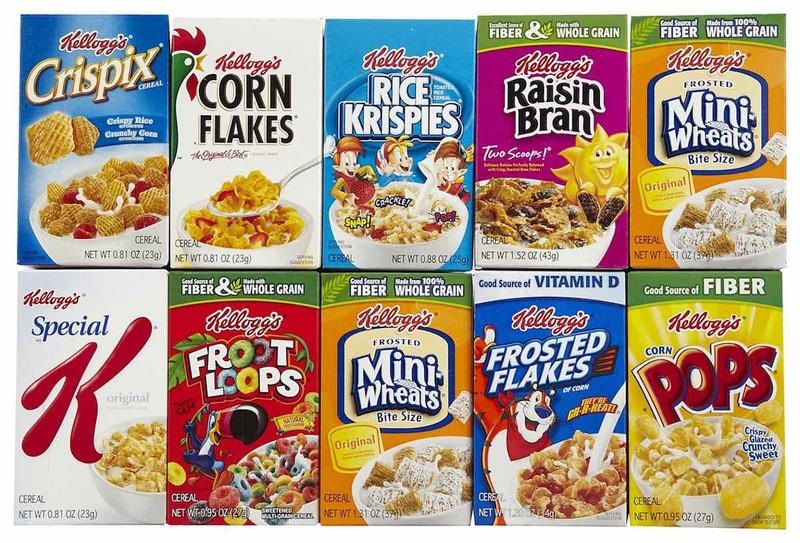 Multiple Variants: Kelloggs has researched into the breakfast habits of customers including what they add to their bowl of cornflakes to enhance its taste and this has resulted in them coming up with variants like Honey Loops or Chocos. They have also found out other popular breakfast options and introduced Kellogg’s oats or All Bran. Market leader in the UK : Kellogg’s is the market leader in the UK breakfast cereals with a sale of around 100 million packets per annum. 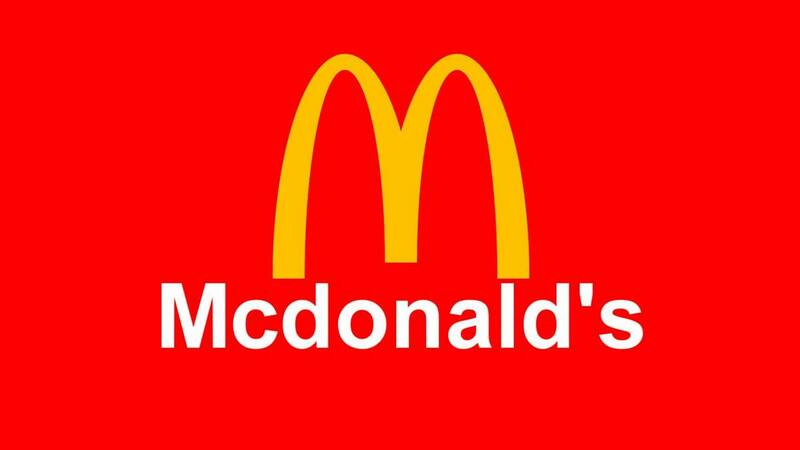 In the UK the brand has an annual sales for 2000 and is valued at around £110 million in the UK, with around 11% volume share of the market. The brand is present in more than 100 countries across the world and is amongst the top ten global brands with a global market share of 37 % in the breakfast food category. Marketing campaigns: The marketing campaigns of Kelloggs has always been appealing to the audience through the clear messaging usage of right brand ambassadors and the slice of life advertising wherever relevant. Recently Kelloggs moved out of just advertising on TV to other relevant media like radio and newspaper to ensure that they maximize their impact at the relevant time of the day. Brand Values: The brand Kelloggs stands for a number of values such as taste, balanced nutrition, and it is portrayed as a high carb and low fat which is touted as the ideal breakfast for health-conscious customers.The other variants such as oats and all bran are rich in fiber and just the right ingredient for a healthy breakfast. Initial failure in India & China: When Kelloggs forayed into India for the first time, the brand was not accepted primarily because corn flakes were traditionally not part of the Indian breakfast. 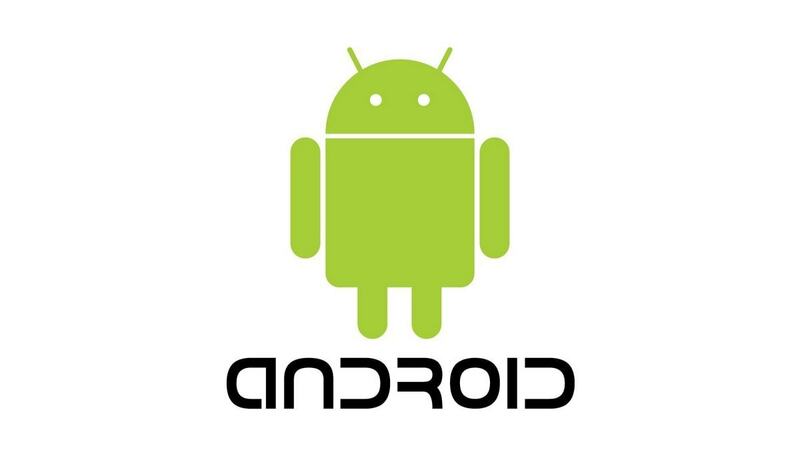 The company had to invest heavily in promotions and education of the customer to build acceptance amongst customers. Lack of sensitivity to culture: Kelloggs in spite of being present in almost 100 countries across the world have always kept their product the same and not realized that the same may not be able to accept it as part of their breakfast. The sensitivity to various cultures is low for Kelloggs which accounts for their low acceptance in many cultures. Low Market for breakfast cereals: In the packaged food market which is estimated at around Rs 33,234 crore, the organized market is estimated at roughly 250 crore INR. The rest is unorganized and players like Kelloggs has been hugely unsuccessful in targeting this market. Changing preferences: In growing markets like India there is a shift of preference from traditional breakfast like dumplings, idlis, dosa or parathas to Western breakfasts like cornflakes, bread and butter are gaining more acceptance. This will result in improving the market share of Kelloggs Cornflakes. Niche markets: There are a lot of new and emerging needs amongst customers such as the need for weight reduction, easy snack for kids, taste buds that appeal to kids, fruits and other healthy additions to breakfast etc. Each of these can be a new product in the breakfast cereals category. Competition: Some of the major competitors of Cornflakes are Bags, Quaker, Quality and Soulful.